Five weeks on Spain's central Mediterranean coast in the small port city of Alicante (for 300 level and higher students), studying advanced Spanish language, linguistics and/or culture. Students will live with Spanish host families (one exchange student per family), meet locals and make international friends through organized social and cultural activities, and improve language skills by participating in cultural workshops. 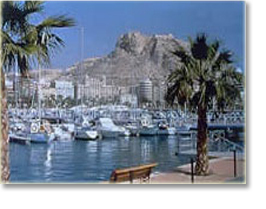 Excursions include a visit to the Costa Blanca, to sites in the interior of the province of Alicante, to Granada, etc. The program is open to Spanish majors and minors who have taken Spanish 323. Classes will be held in the Escuela Mediterránea de Vela (Sailing School) in the harbor of Alicante and across the street from the beach.